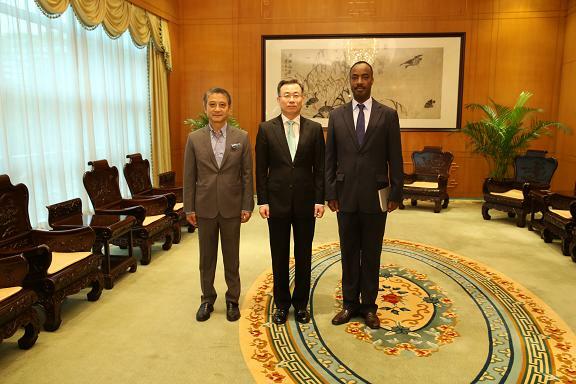 On 13 May, Commissioner Song Zhe met with Charles Kayonga, Rwanda's Ambassador to China. The two sides exchanged views on China-Rwanda relations and personnel exchange between Hong Kong and Rwanda. Rwanda's Honorary Consul to Hong Kong Qiu Zhi-zhong was present at the meeting.